Looking for the Right Toyota Parts at the Right Price? Come to Toyota of Hollywood! Finding the right parts for your Toyota vehicle isn’t always easy. Don’t subject your Toyota to those generic parts from your local auto parts store, especially when quality, Toyota-certifed parts are within your reach! Your Toyota vehicle was built with only the best Toyota parts, and now, it’s easier than ever to give your Toyota the same quality replacements, without breaking the bank! Toyota of Hollywood proudly carries a full inventory of OEM Toyota parts and has them readily available for Los Angeles County’s Toyota drivers. Come by anytime to see our huge Toyota parts inventory for yourself! With the convenience of our website, you can browse through our parts catalog and request parts online, without ever leaving your home. We have so many quality Toyota parts, you’re sure to find the part you’re looking for here. If for whatever reason you can’t find the part you’re looking for here, we can get it ordered for you and have it here for you in a matter of days. No matter how you choose to get your parts from Toyota of Hollywood, you can count on our parts experts to support you every step of the way. They’ll be happy to work with you to find the right parts for your trusty Toyota. Even if you can’t remember what the part you’re looking for is called, our parts experts will, and you’ll have just what you need in no time! Our team has even received the Parts Excellence award numerous years; 1993, 1999, 2000, 2011 & 2013. 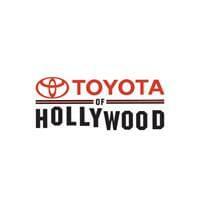 Here at Toyota of Hollywood, we believe that every Toyota vehicle deserves the right stuff. That’s why you can count on our Toyota parts to always fit in your budget. You won’t ever have to break the bank to find the right Toyota parts. Be sure to check back to our website’s specials page often to find great discounts on our already bargain-priced parts.